18 miles roundtrip if you go all the way to the top. 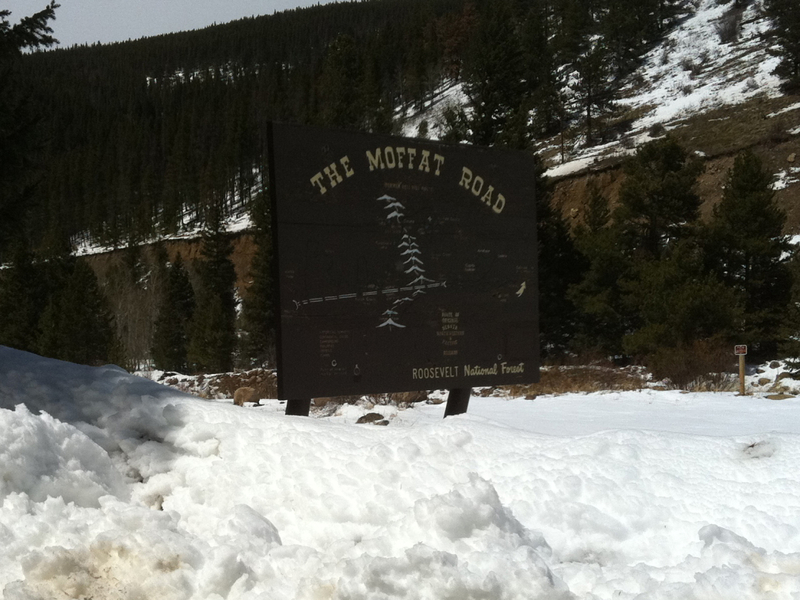 The old Moffat Road was built to support a train that went up and over the mountains and connected the Boulder valley to Winter Park. The railway was abandoned in the 1930s but the modestly graded road remains, making it the perfect tour for cross country skiers who don’t mind making their own tracks. It’s nine miles to the top of Rollins Pass, which sits at 11,680 ft. -- but you don’t have the make the full trek to enjoy great views and a solid workout. A steady grade with regular snow, low traffic and nice views, especially of the small, semi-ghost town of Tolland, make this a great cross country adventure that can be as long or short as you want it to be. The hills are never “kamikaze” fast and the climbing is done on railroad grade hills, so you can count on setting a steady pace. And because it’s only about an hour from Boulder, it’s close to home and avoids I-70. There is a bit of traffic in the form of snowmobilers and snowshoers on winter weekends, but for the most part there will be fewer people than the trails that start a half mile down the access road at the East Portal / Moffat Tunnel parking area. The start of the adventure often features a strong wind that dissipates once you’ve climbed the first mile and turned north into the woods. Tall pine trees block the breeze and you’ll get alternating views of the western peaks and the northern Rocky Mountains. Skiers hardy enough to get above treeline will be treated to the isolated beauty of Yankee Doodle and Jenny Lakes -- and if you’re feeling especially burly, going up and over the pass and descending into Winter Park is possible. Nordic skiers who don’t mind blazing their own tracks will love the long, gradual climb and of course, the descent back to the parking area. It’s a bonafide workout to make the climb to upper lakes -- some 18 miles round trip -- but fit skiers will reap the beauty and peace of a relatively untrampled mountain escape. More modest skiers will enjoy the simple out and back along relatively safe avalanche terrain.